Two people were arrested in Belgium for plotting a bomb attack at a conference in Paris, prosecutors announced. The couple allegedly carried 500 grams of explosives reportedly similar to the type used in other major attacks. The suspects, who have Belgian citizenship and are of Iranian origin, were identified as Amir S., born 1980, and his wife Nasimeh N., born 1984. They were snatched by police in Woluwe-Saint-Pierre municipality in Brussels suburbs on Saturday. During searches police say they found some 500 grams of TATP (Triacetone Triperoxide) explosives and a detonation device in their car. The notoriously-unstable TATP, sometimes known as the ‘Mother of Satan’, has been used in a number of terrorist attacks, including the November 2015 Paris attacks and the May 2017 Manchester Arena bombing. 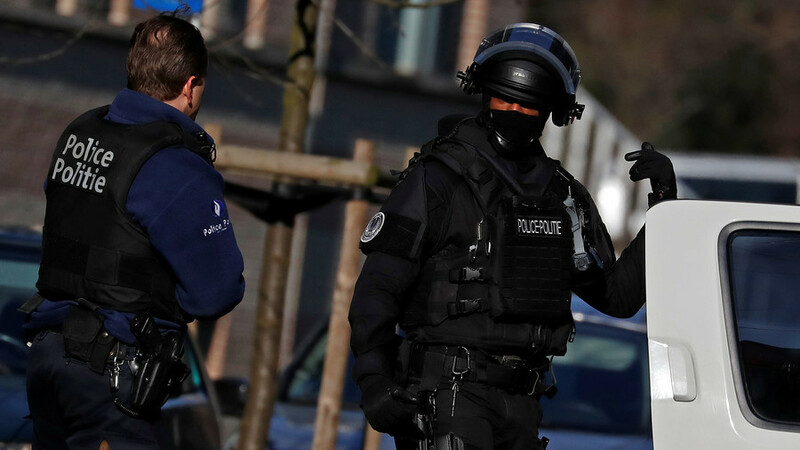 The couple, who are residents of the town of Wilrijk - 356 km from the Belgian capital, has already been charged with “attempted terrorist attack and preparation of a terrorist act,” the prosecutor added. The alleged target was a meeting of an Iranian opposition group scheduled in Paris June 30. The event was attended by some 25,000 people. A number of people, who had allegedly made contact with the two suspects, were also detained in other EU states, according to Belgium prosecutors. A diplomatic worker at Iran’s embassy in Vienna was detained in Germany, while three other people were snatched by French police. Two of them were released after interrogation, while one man remained in police custody. France has been plagued by a series of terrorist attacks over the past few years and has remained in state of emergency since 2015. Apart from smaller-scale terrorism-related incidents, such as stabbings and car rammings, France endured several full-blown attacks, which took a heavy toll on civilians. The largest one took place in November 2015, when a group of Islamic State (IS, formerly ISIS/ISIL) terrorists attacked several targets in Paris, killing 130 people and injuring over 400. Another major attack occurred in July 2016, when a terrorist plowed a heavy cargo truck though a crowd of people, celebrating the Bastille Day, killing over 80 revelers and injuring hundreds more. Belgium itself was not spared by the terrorism surge, with an IS-linked group striking Brussels airport and metro station in coordinated suicide bomb attacks in March 2016. The attackers also used the notorious TATP compound, killing 32 and injuring nearly 350 people.